Come along at the biggest Awê! Living the Indigenous Experience goes beyond folk presentations. 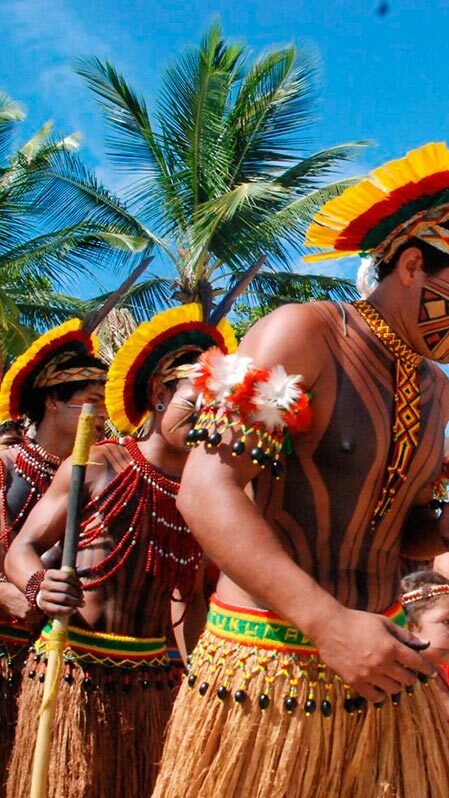 At La Torre Resort you learn, experience and take part in activities along with Pataxo Indians. You will live a truly history of life and resistence of an ethnicity in a legendary tales told by themselves. When the Pataxo Indigenous People invides you to be part of their AWÊ, it means that you are welcome to that comunity and you can take part of the ritual which singing and dancing are responsible for join people around nature's good vibes. Let's try? Feel the Pataxo's energy and live an incredible cultural experience! Every each day is a new finding about these folk culture who has resiste through time and fights, keeping your millenarian culture to present us today with plenty of life's wisdom. Record this moment and share with your friends the wealth of living this experience! Limited vacancies. See our leisure team for the activities's places.